Air pollution, both outside and inside homes, is a silent and prolific killer responsible for the premature death of seven million people each year, including 600,000 children, according to a UN expert on environment and human rights. David Boyd said that over six billion people, one-third of them children, are regularly inhaling air so polluted that it puts their life, health and well-being at risk. "Yet, this pandemic receives inadequate attention as these deaths are not as dramatic as those caused by other disasters or epidemics," Boyd, the UN Special Rapporteur on environment and human rights, told the Human Rights Council here Monday. 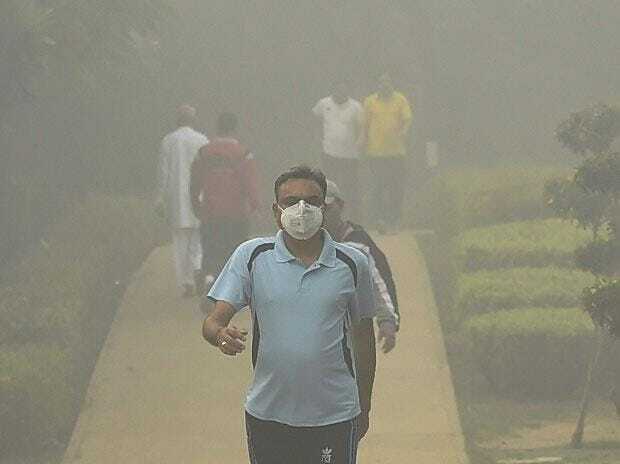 "Every hour, 800 people are dying, many after years of suffering, from cancer, respiratory illnesses or heart disease directly caused by breathing polluted air," said Boyd, who is also an associate professor at the University of British Columbia in Canada. Boyd said that failing to ensure clean air constituted a violation of their fundamental right to a healthy environment, a right that is legally recognised by 155 countries and should be globally recognised. "People cannot avoid inhaling whatever contaminants are present in the air inside their homes or in their communities," the expert was quoted as saying in a UN statement. "Air pollutants are everywhere, largely caused by burning fossil fuels for electricity, transportation, and heating, as well as from industrial activities, poor waste management and agricultural practices," Boyd said. Women and children, who in many less wealthy countries spend a lot of time at home, are disproportionally affected by indoor air pollution caused by cooking, heating or lighting with solid fuels and kerosene. Boyd identified seven key steps that countries must take to ensure clean air and fulfil the right to a healthy environment. These include monitoring air quality and impacts on human health, assessing sources of air pollution; and making information publicly available, including public health advisories. "There are many examples of good practices, such as programmes in India and Indonesia that have helped millions of poor families switch to cleaner cooking technologies and States that are successfully eliminating the use of coal-fired power plants," said Boyd. "Many actions to ensure cleaner air can be designed to simultaneously reduce the greenhouse gas emissions that cause climate change, resulting in a double dividend," he said.